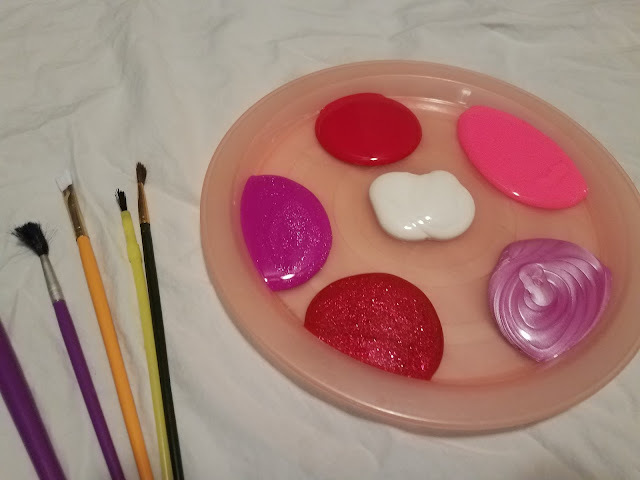 I've been on the hunt for a new art project for the kids to try. 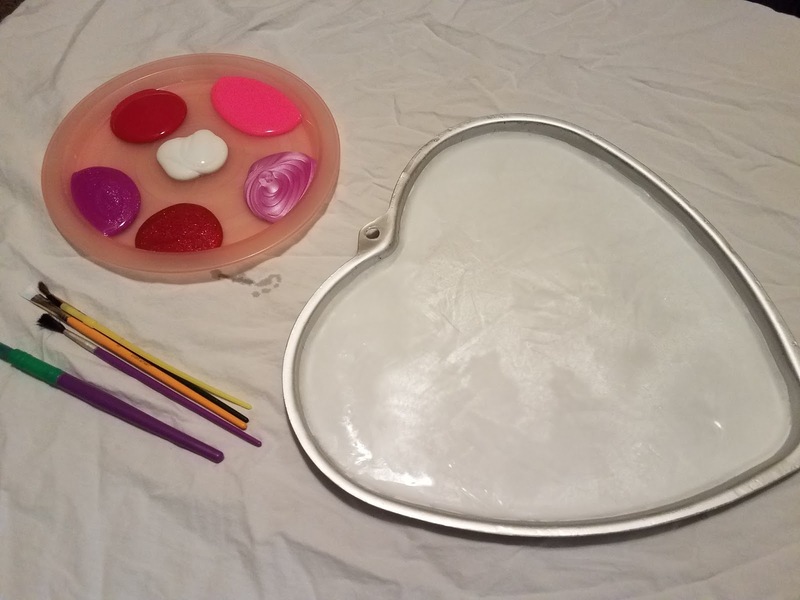 After breaking out our Valentine's Day stuff and planning out our Valentine activities for the season, I couldn't decide what to do with the heart cookie pan (a giant heart shaped cookie isn't on the agenda this year sadly) so I came up with a project to use it for: icy heart painting. 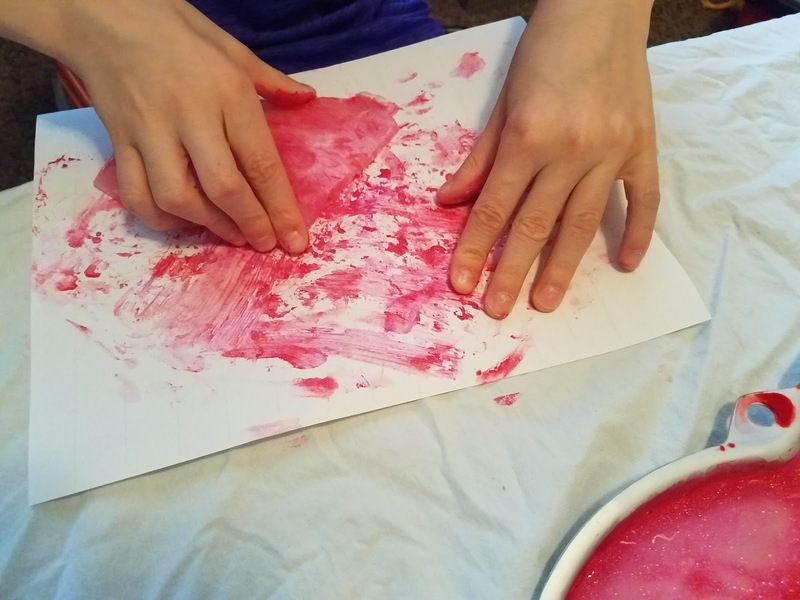 It's quite simple and makes a great busy project for the kids. 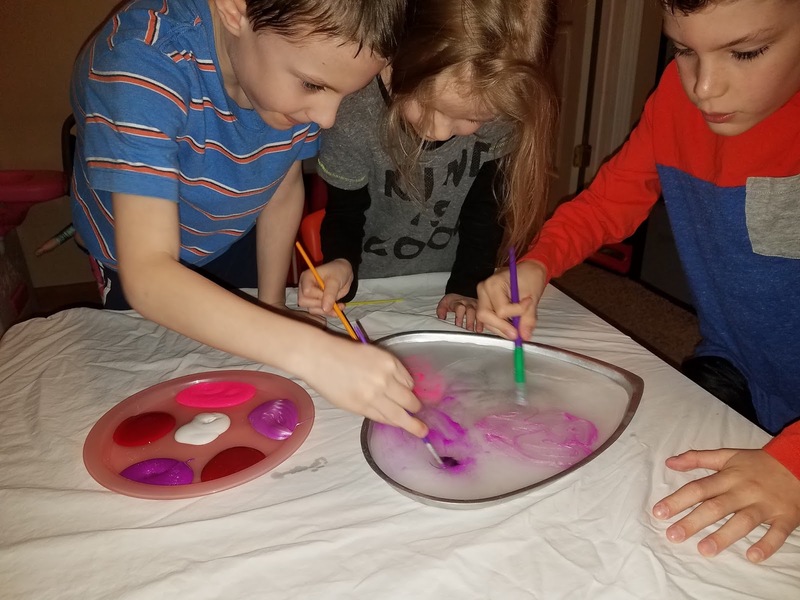 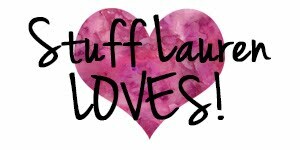 I tested it out with my three first and they most definitely approved of it! 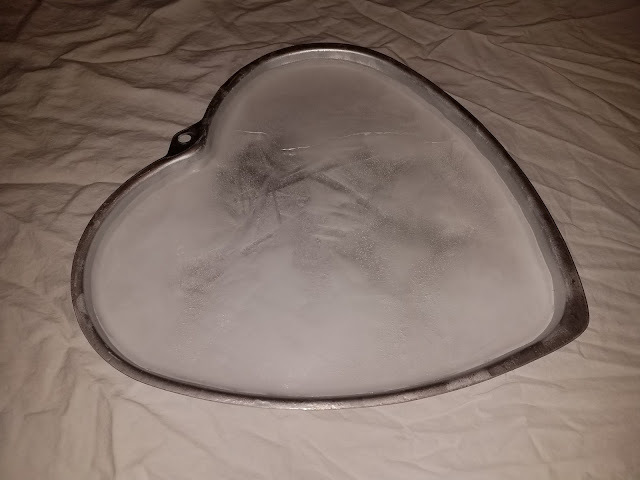 First, we put water in the pan and froze it. Then I let the kids paint it (with regular Crayola washable paints), we re-froze it, broke it into pieces (with a child hammer), and painted with the ice pieces as they melted (it looked like water colors in the end). 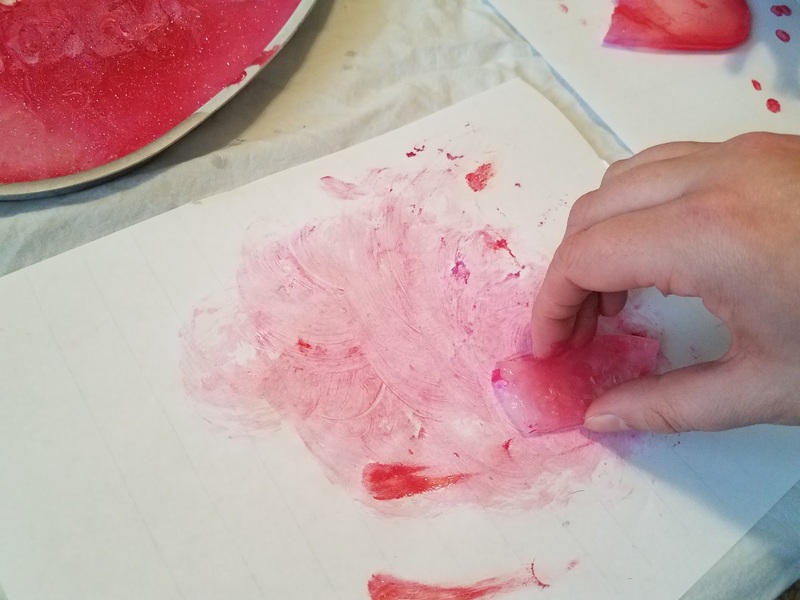 Painting as the ice melted got tricky, but it also ensured that the paint went all the way through (which is also why we re-froze it). 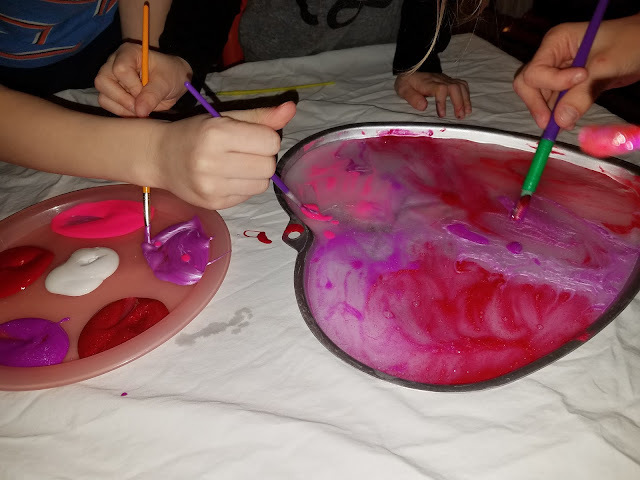 The minis LOVED taking turns with the "oh so little hammer!" 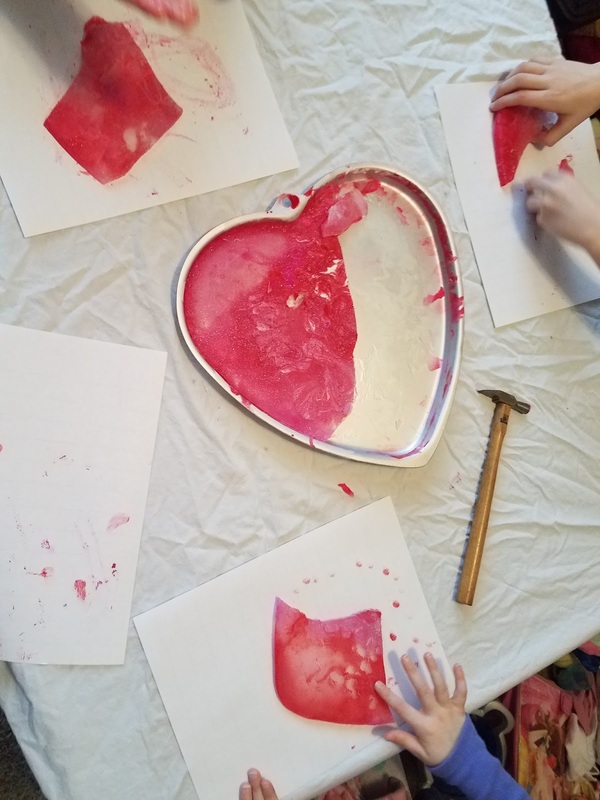 When we do this again, I plan to use thicker paper (we used regular paper and I would use poster board thick paper) and/or have the kids use the icy heart paint on heart shapes instead of regular paper. 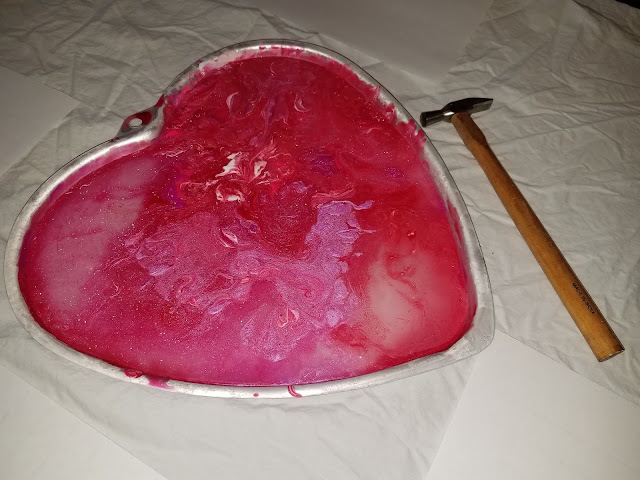 When completely dried, the icy heart paint looked exactly like water colors (only a tad darker). 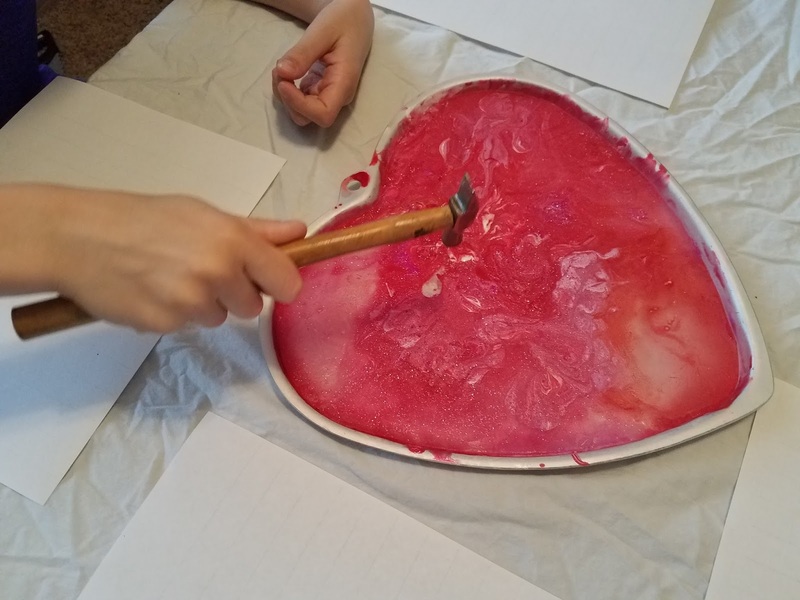 I enjoyed the activity because it was busy "work" for the minis instead of watching TV or destroying my house!